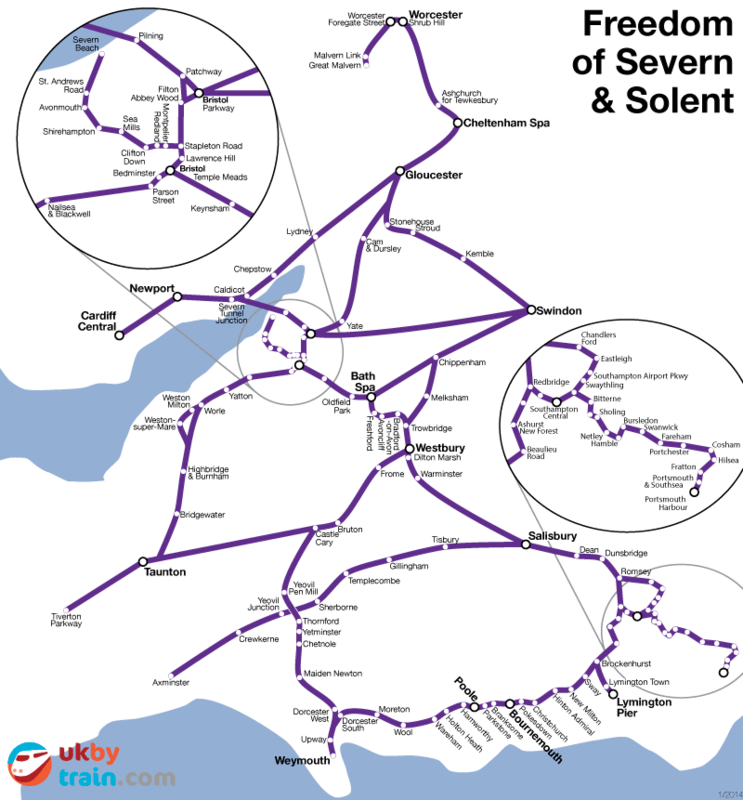 The Freedom of Severn & Solent Rover provides unlimited rail travel in Hampshire, Somerset, Gloucestershire and parts of South Wales. This travel pass lets allows you to visit Bath, Bristol, Cardiff, Gloucester, Cheltenham, Worcester, Salisbury, Swindon, Taunton, Weymouth, Portsmouth and Southampton. This rail pass is valid for travel after 9am Monday–Friday and all day on weekends and bank holidays.